Not so long ago, in an antique shop in Bath I found a millinery head block. 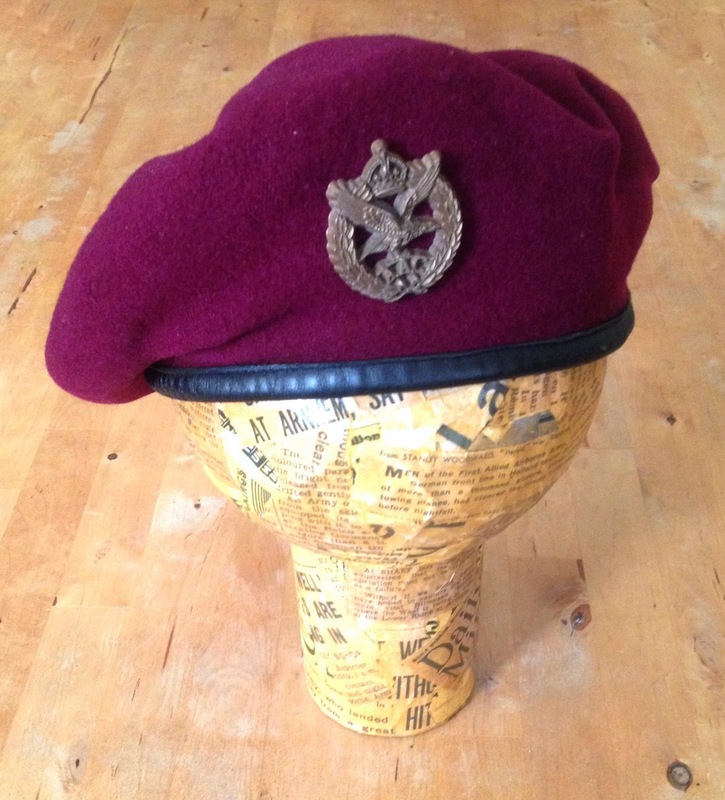 It was superb, a head shaped wooden block covered in cloth, it was old and would've been just the thing to display my beret and helmet collection (if I could find enough of them of course).... but the price!!!? How much?!! I quickly scrapped the idea of using these original head blocks and sat down to think of a more affordable alternative, then I thought; 'papier maché'! 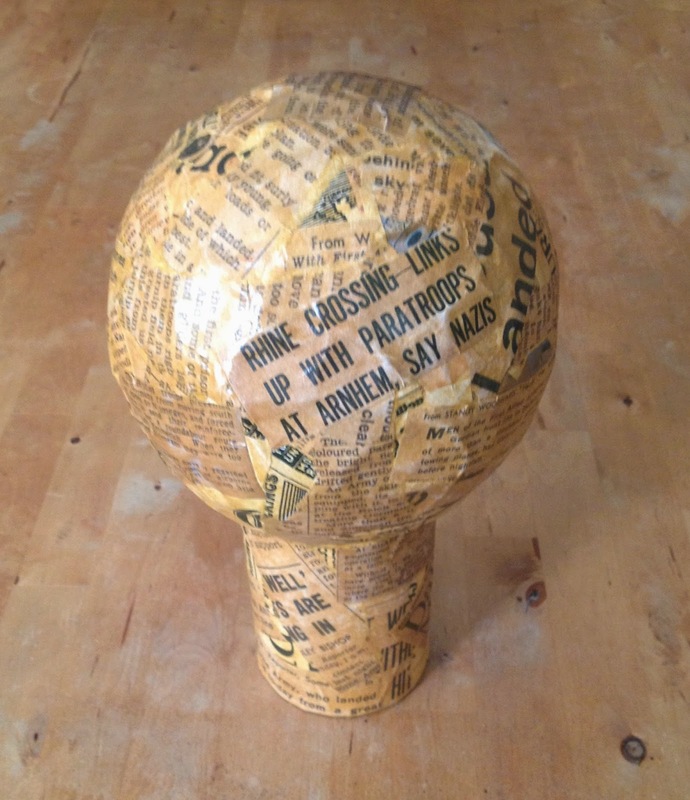 So, a few days later and armed with balloons, wallpaper paste, sheets of newspaper and a bucket I set to making my first papier maché for many years... and I quite enjoyed it. I made two 'heads' as I soon realised that the structures wouldn't be strong enough for helmets but would work well for berets. I finished off each one with photocopied wartime newspapers and gave them a quick wash with a yellow/brown oil paint and varnish.